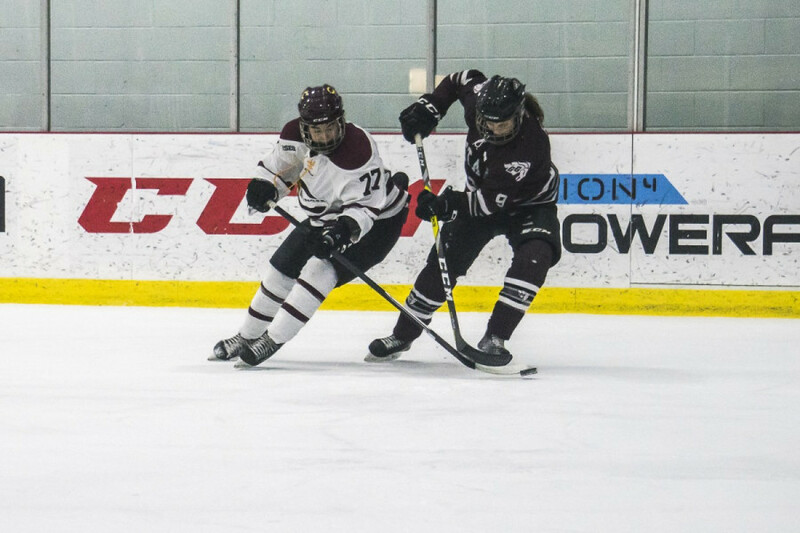 OTTAWA—Less than a week after completing a season characterized by ups and downs, the Stingers women’s hockey team find themselves in another valley. 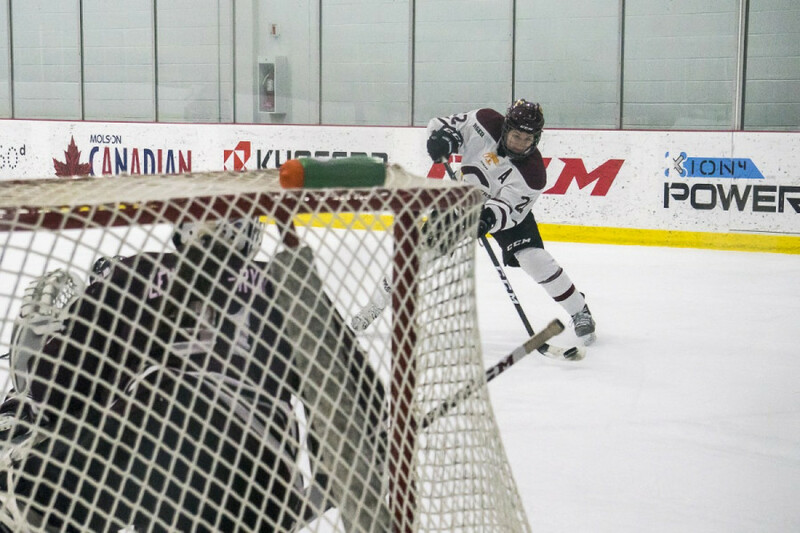 A convincing game one win against the University of Ottawa Gee-Gees had the team looking poised for a quick series sweep and an automatic berth into the U Sports national tournament. After putting four goals past Ottawa goaltender Maude Lévesque-Ryan, she redeemed herself by blanking the high-powered Stingers on her home ice. Related: The Gee-Gees Force a Game Three With a Win. On Thursday, Concordia hit Lévesque-Ryan early and often. Eleven seconds into the game, they had put a goal past her. After letting in three more, she was pulled in favour of backup Sarah-Maude Labrecque. In game two, Ottawa head coach Yanick Evola’s faith in his starter paid off as she stopped all 28 of the shots sent her way. On the other end, Concordia goalie Katherine Purchase wasn’t as dominant as she was in her game one shutout. A first period marker by Ottawa forward Meagan McGaughey and a second period power play goal by defender Melina Roy was all the offense that the home team needed to win. Getting off to a good start in games is something Stingers coaches and players have talked about all season. On Saturday, the team didn’t have the best first period, Chu said. She wants to see her team pick up where they left off in the third period, which saw them pose a much greater threat to Lévesque-Ryan. Chu went on to echo Laganiere’s statement about playing a 60-minute hockey game, verbatim. The difference between game two and tomorrow’s game three will be Concordia’s sense of urgency. Team captain Marie-Joelle Allard might be playing her last game as a Stinger tomorrow. The first thing the senior defender said after the game was that Ottawa played like a team who had their backs against the wall. In game three, she hopes her team can play like that. She added that her team needs to digest the loss, and then have a very short memory. “Tomorrow is a huge game, and we need to come in with a competitive mindset. We can’t let today bother us tomorrow,” she said. The numbers show that Concordia is much more comfortable in the friendly confines of Ed Meaghar arena. They played to an 8-2 record at home in the regular season, compared to their 6-4 mark on the road. Of their three total games against the Gee-Gees in Ottawa, the Stingers couldn’t get a win. At home, they’ve beat them three out of four times. Related: The Stingers Took Care of Business in Game One Against Ottawa. The Stingers know that with both teams playing to keep their seasons alive, the venue won’t matter. The teams will put their seasons on the line tomorrow afternoon at 3:00 p.m. at Ed Meaghar arena.